UK Foreign Secretary Boris Johnson pushed for continued arms sales to Saudi Arabia in the wake of a deadly airstrike on a funeral in Yemen which killed 140 people, it has been revealed. Fox then recommended the licences be approved in light of the assessment provided by Johnson. In his reply to Johnson, he warned of inherent risks because of the “grave situation” in Yemen and other reasons which were redacted. “I agree that this is an extremely complex situation and that the issue of clear risk is extremely finely balanced. In the light of your assessment and [REDACTED] recent advice I accept that we should continue, for the present, to assess export licences for Saudi Arabia on a case-by-case basis,” Fox wrote. 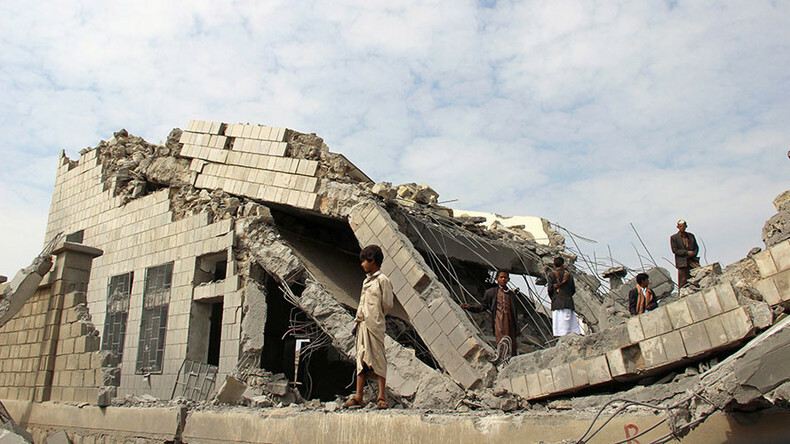 Rebel leaders accused the Saudi-led coalition of deliberately targeting the funeral. 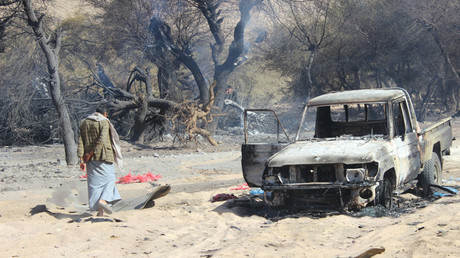 The Saudi-led Arab coalition, which has been attacking Houthi rebels since early 2015, initially denied its involvement but later agreed to investigate the attack. The letters between Johnson and Fox were among documents disclosed in court proceedings this week, as the Campaign Against the Arms Trade (CAAT) faced the government in a judicial review of the decision to continue licensing arms exports to Saudi Arabia despite the kingdom’s widely criticized offensive in Yemen. In the landmark case at the High Court, CAAT and other campaign groups are arguing British arms exports are not compatible with UK and EU legislation because they have been used to illegally kill Yemeni civilians. The four-day judicial review ends in the closed court on Friday. Britain has come under frequent criticism for continuing to supply arms to Saudi Arabia in the face of repeated atrocities in Yemen. The UK has made more than £3 billion ($3.6 billion) from arms sales since the military campaign began in March 2015, which has seen 11,000 Yemeni civilians killed. Britain has supplied fighter jets, bombs and missiles to Saudi Arabia, and provided training to Saudi pilots participating in the war. It has also admitted to exporting 500 cluster bombs to Saudi Arabia in the 1980s.